This is me putting my hands in my pockets, turning my head, and smiling. And it's because Sony Pictures has announced that Aaron Sorkin will be writing the script for Steve Jobs, adapted from Walter Isaacson's best-selling biography. Aaron Sorkin is legitimately brilliant, and the writer behind TV's Sports Night, The West Wing, Studio 60, and the upcoming The Newsroom, as well as the movies Malice, A Few Good Men, The American President, and the recent The Social Network about Mark Zuckerberg and the founding of Facebook. 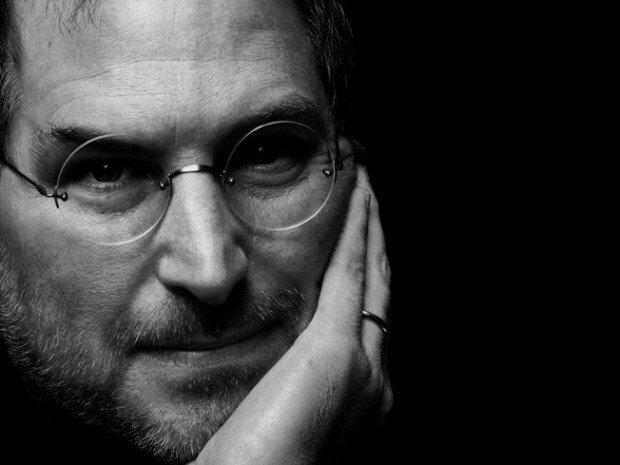 "Steve Jobs' story is unique: He was one of the most revolutionary and influential men not just of our time, but of all time," said Amy Pascal, co-chairman of Sony Pictures Entertainment. "There is no writer working in Hollywood today who is more capable of capturing such an extraordinary life for the screen than Aaron Sorkin; in his hands, we're confident that the film will be everything that Jobs himself was: captivating, entertaining, and polarizing." Sorkin's crackling dialog, smart comedic moments, and skill in building dramatic tension should serve the movie extremely well. Yes, this is basically the biopic equivalent of getting Joss Whedon on The Avengers. It's hard to believe Hollywood is getting so much right for a change. Portraying Steve Jobs from Apple's inception to his final days, if that's what they choose to cover, will be a momentous undertaking for any actor. Having Sorkin on the script, however, should provide an excellent foundation. If you want to indulge in a little fantasy casting, head on over to our iMore Movie Forum and let us know who you think should play Steve Jobs.